First of all, open up printers under the control panel and printers. You should see something similar to below listing your printers. 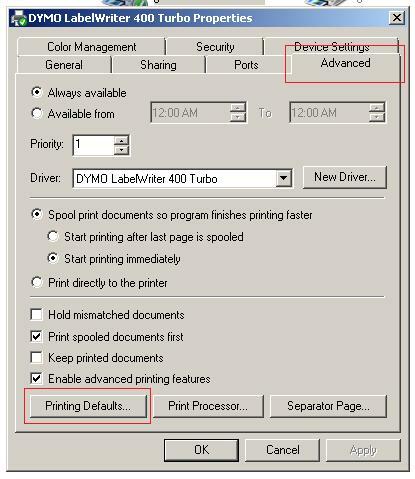 If you right click on the printer and open up its printing preferences, then open up the advanced options you should see something similar to below. What you want to change is the paper size option, we will be using 99014 shipping labels in this example. Once that is changed hit OK on all the windows until you are back at the printer list. 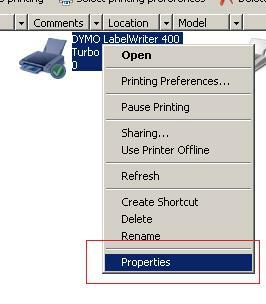 Next step is to open up the printers properties by right clicking and selecting properties. When you have the properties open select the advanced tab, then open up the printing defaults. This brings up a window similar to before. 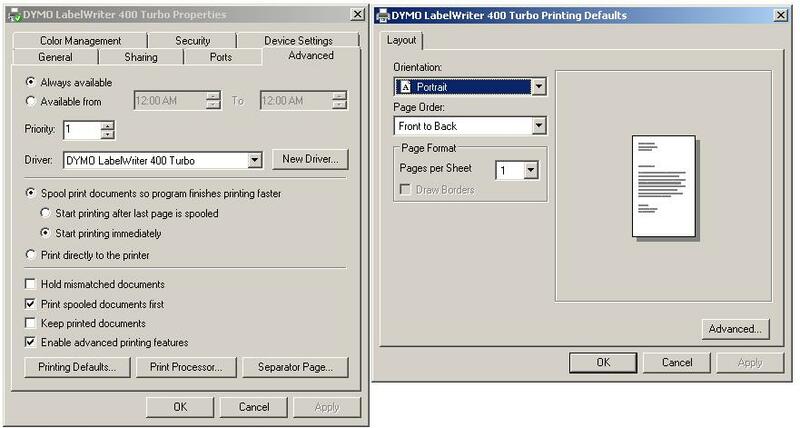 Click the advanced button and change the paper size like before. When that is done hit ok until you are back at the printers window and that should have saved the new print label sizes on the printer.